Of course these weren’t the first green beans we’ve eaten all summer, but they were the first picking from Blue Heron Farm, and they were lovely. I wanted to let them shine as much as possible, so all I did was blanch them, then saute them with olive oil, lots of garlic, prawns and a little white wine. I served them on soft polenta, and the flavors were really bright and fresh. 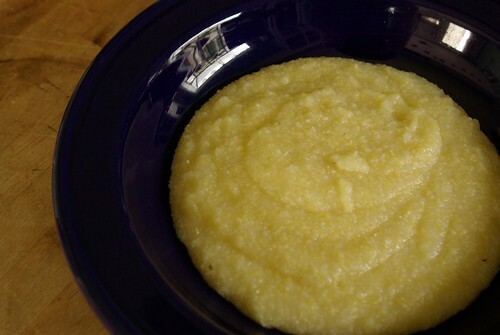 Polenta isn’t usually the first starch I think of, but I’m always happy when I make it. This batch turned out particularly well. 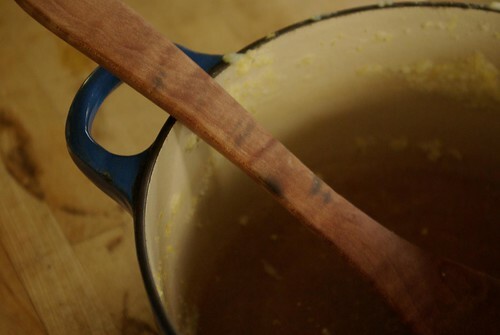 I let it cook long enough to get really smooth, then I beat in a nugget of butter and nothing else – no cheese or cream. 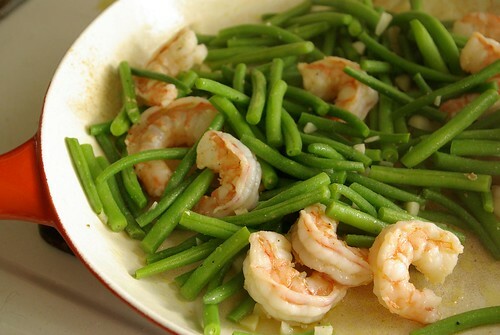 I poured it out into soup bowls and let it set, then put the shrimp and green beans on top. Mmmmm. 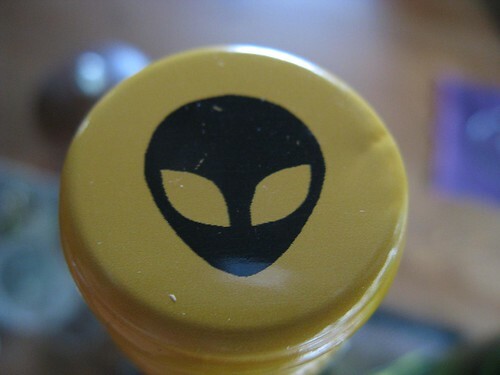 We had a bottle of Bonny Doon “Le Cigare Blanc” lurking in the fridge (a “cigare volant”, or flying cigar, is apparently what the French call a UFO, hence the alien on the bottle). The wine is a blend of roussanne and grenache blanc, but is very dry. 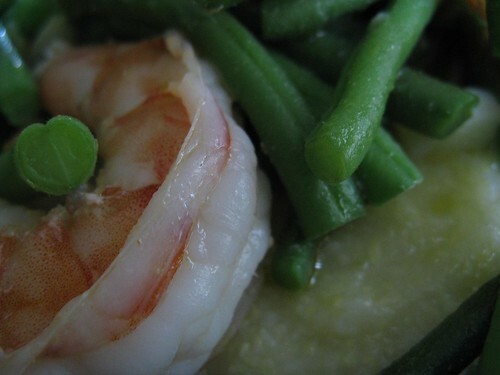 I can’t imagine anything that could have gone better with the shrimp and polenta.